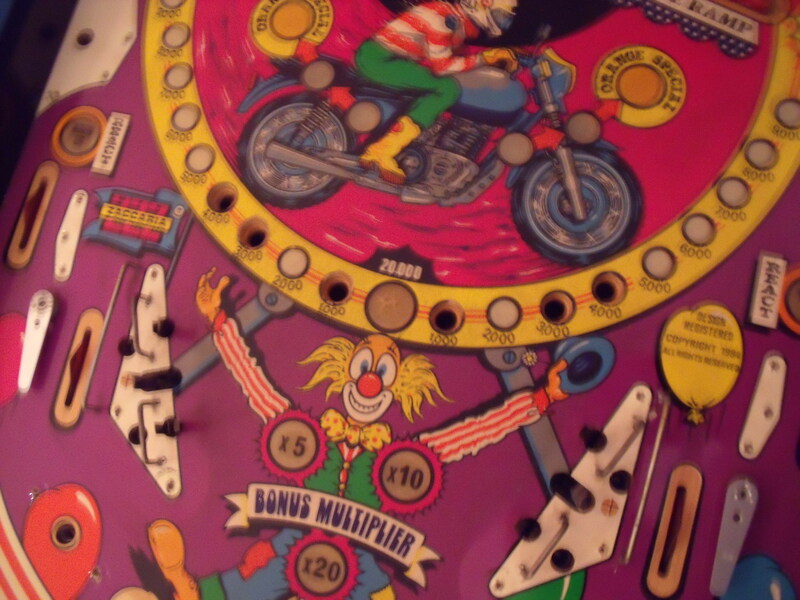 Well, I took a closer look at the Devil Riders. 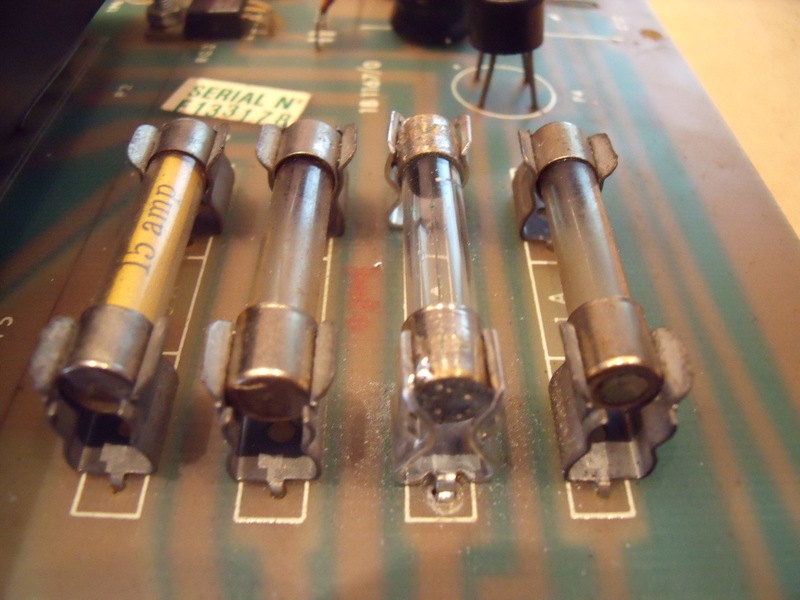 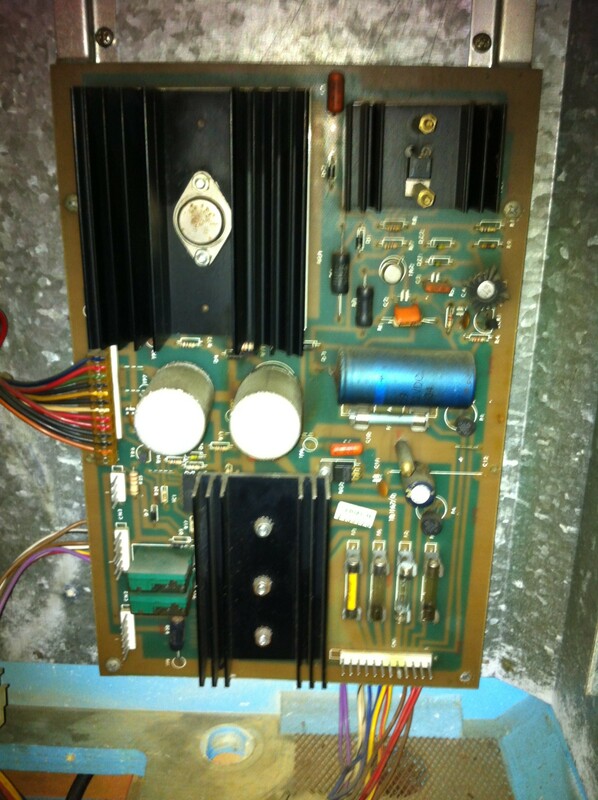 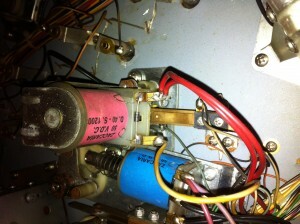 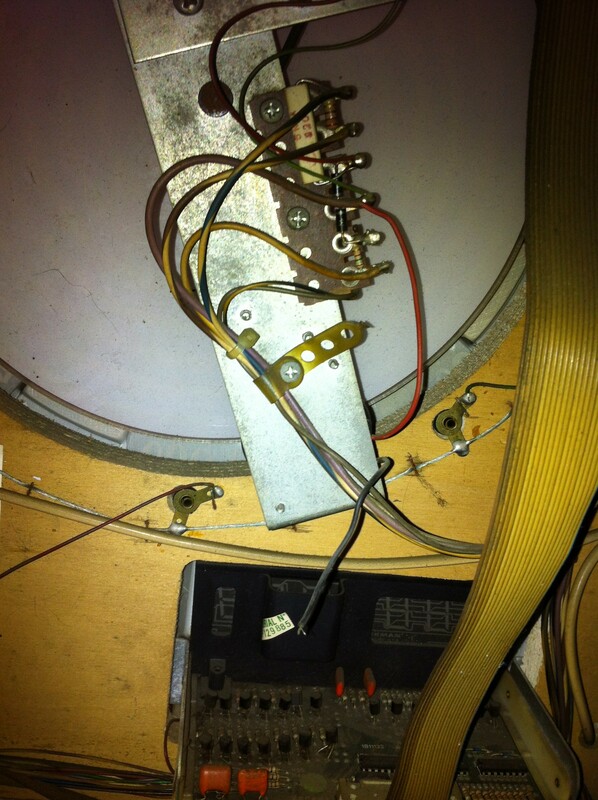 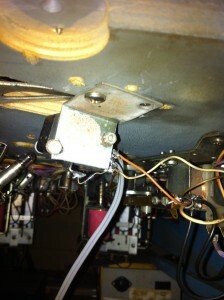 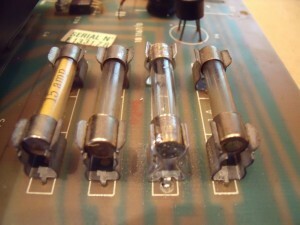 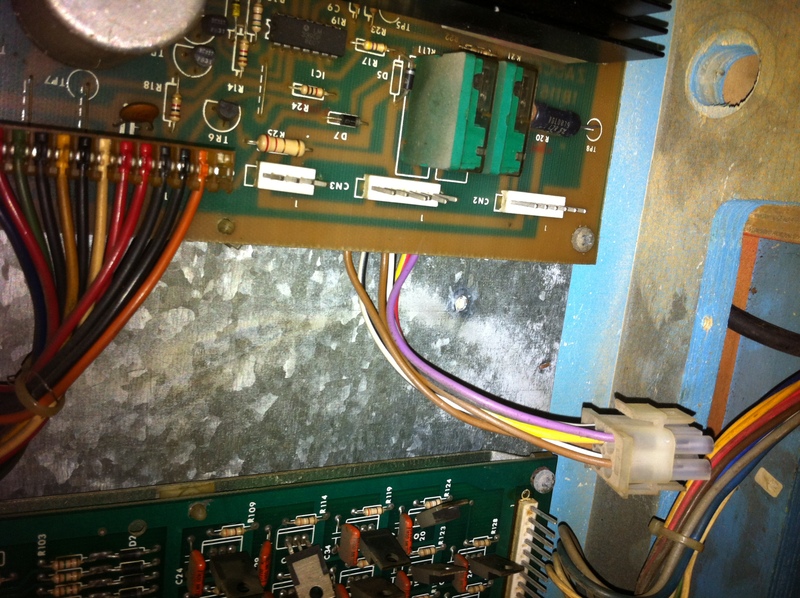 Except for a broken fuse clip the power supply is in good shape. 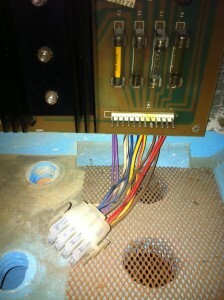 I don’t know yet if I’m going to replace the connectors to the originals or if I’m going to leave the new ones. Depends on how easy it will be to find new ones I guess. The CPU seems to boot as well, at least the LED comes on after a short while. 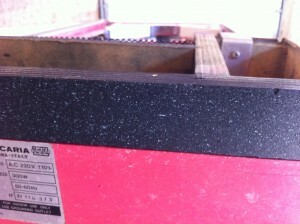 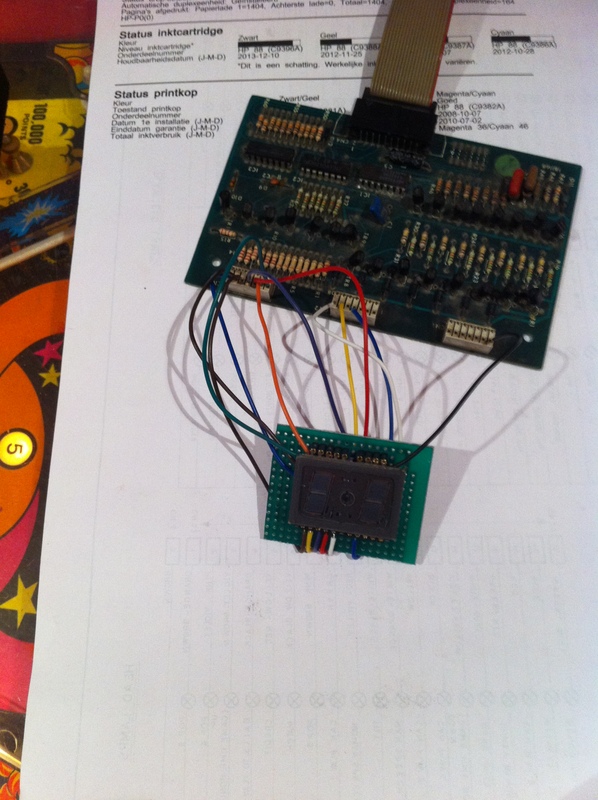 I’ll be getting some 2764 EPROMs next week so I can do some thorough testing. 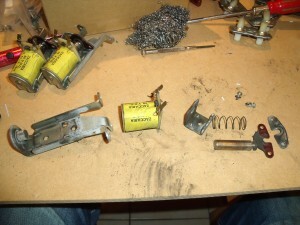 I’ve removed the battery. 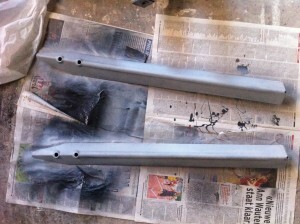 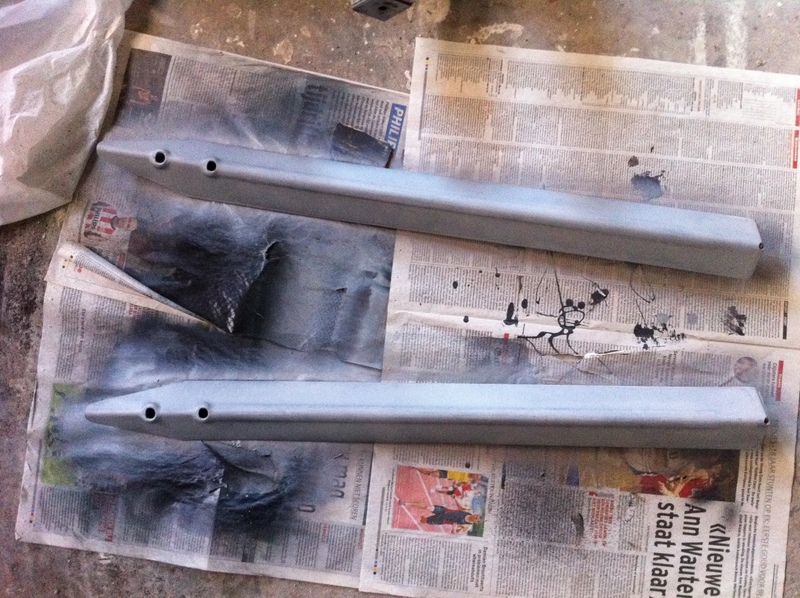 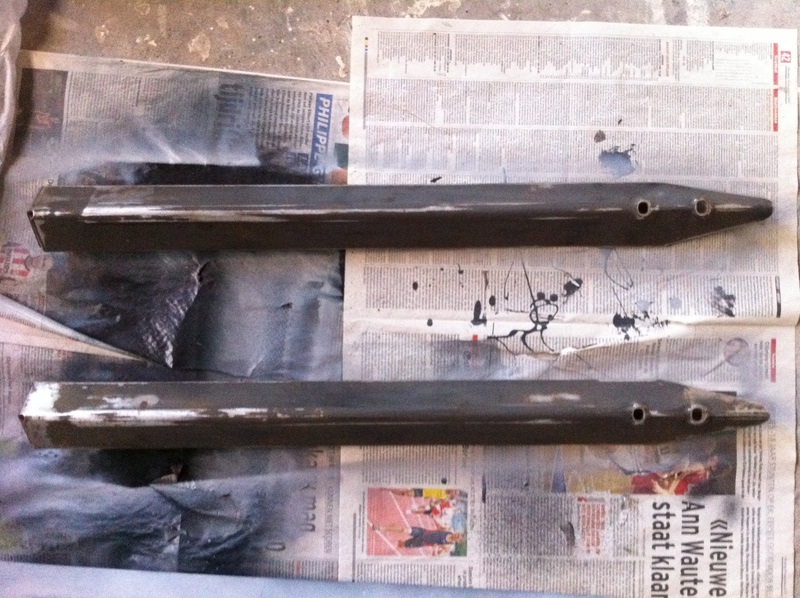 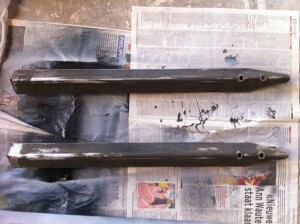 Didn’t have any vinegar handy, will clean up tomorrow. 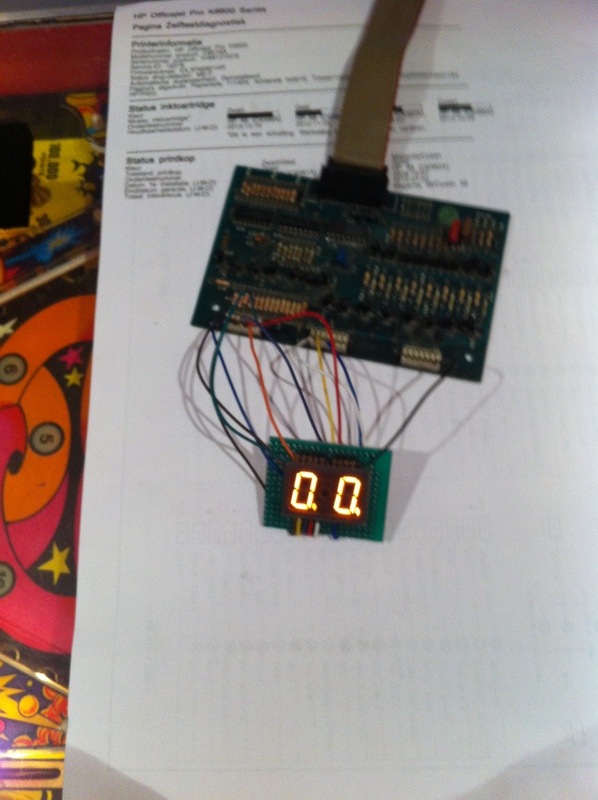 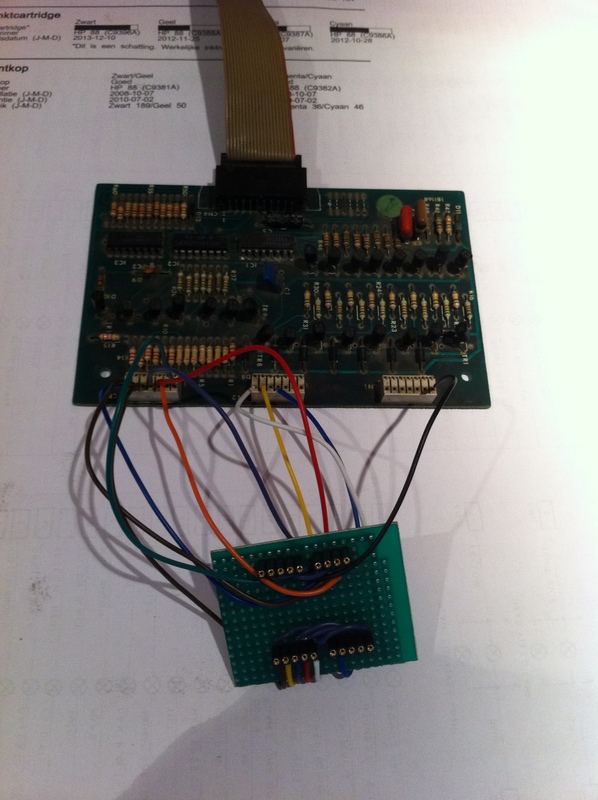 In the mean time I started converting one of the 8-digit display drive boards I got from the guy who sold me the ZM1550’s for the Pinball Champ to work with LED 7-segment displays and 5V only (see Leon’s site for a how to). 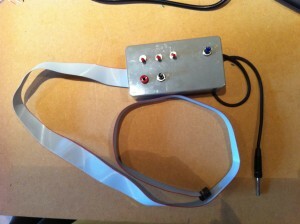 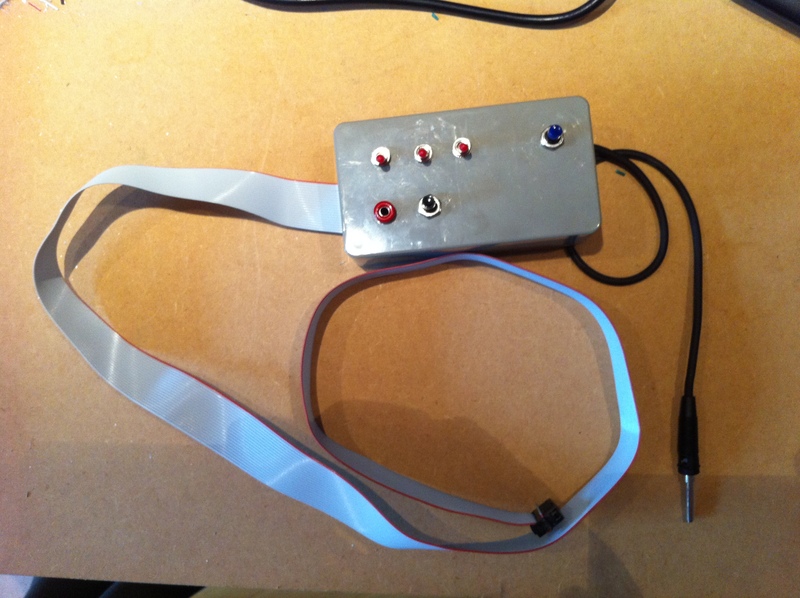 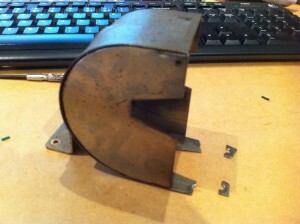 This will allow me to work on the CPU boards outside of the machines as I won’t need the 160V for the original displays. 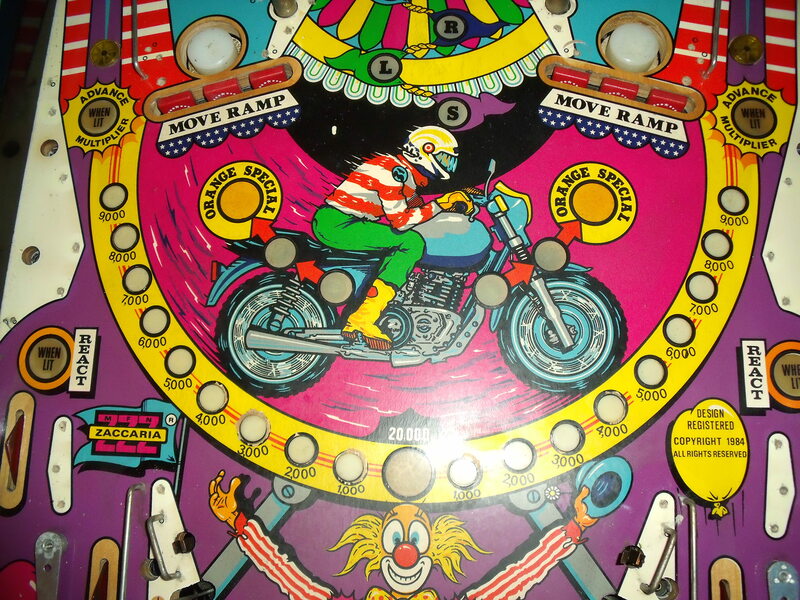 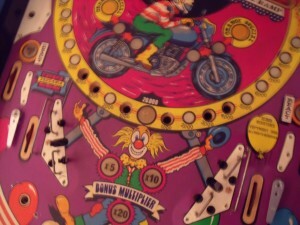 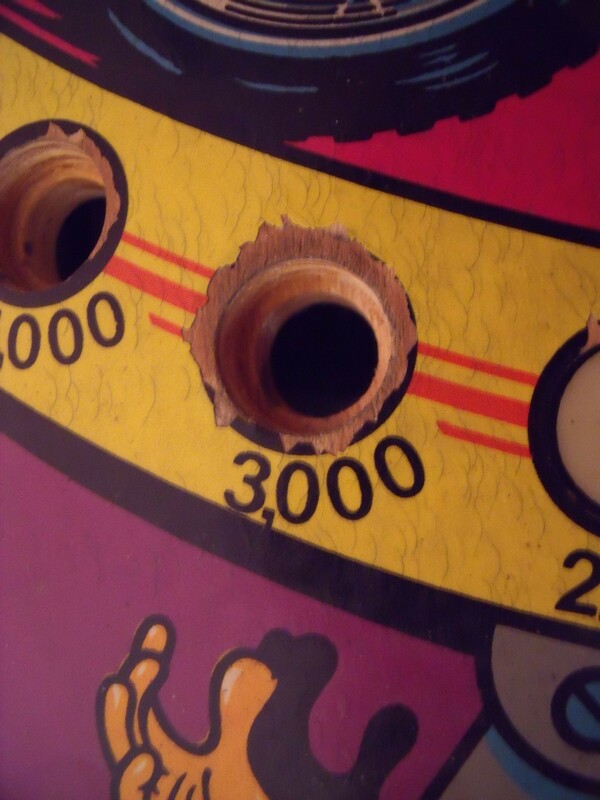 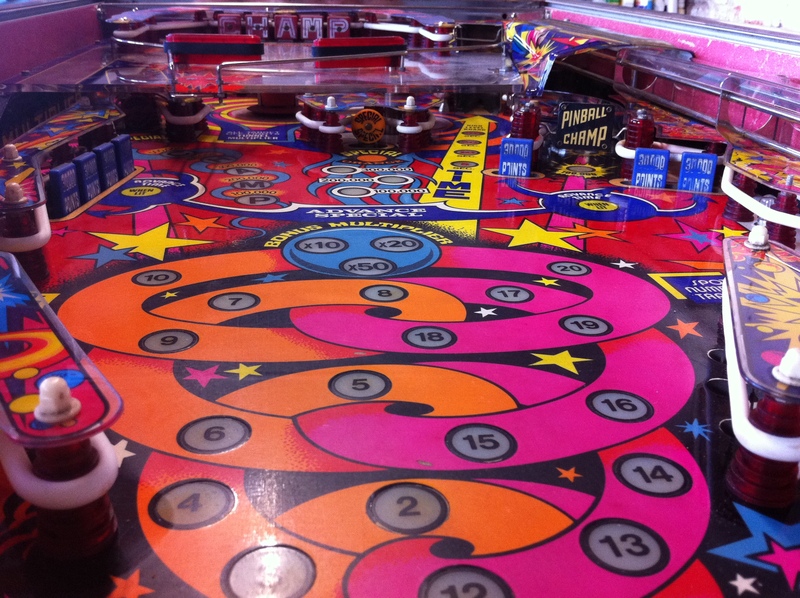 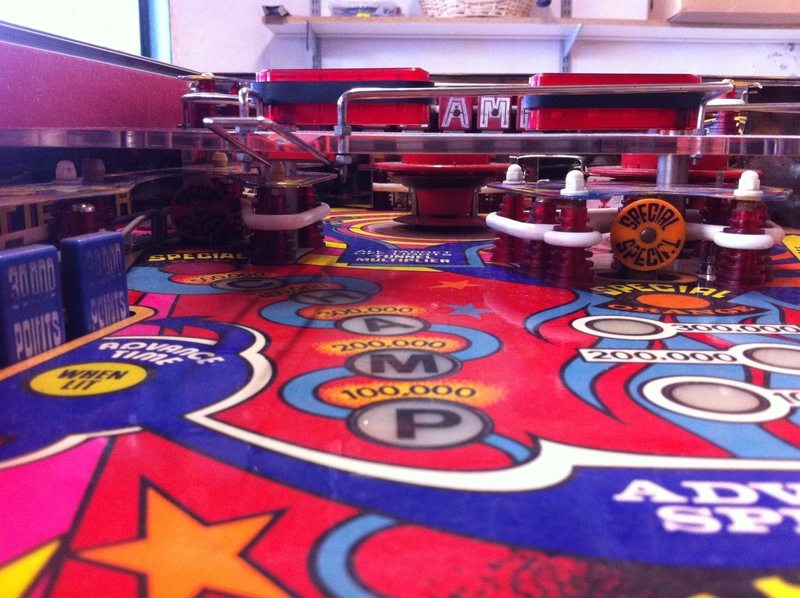 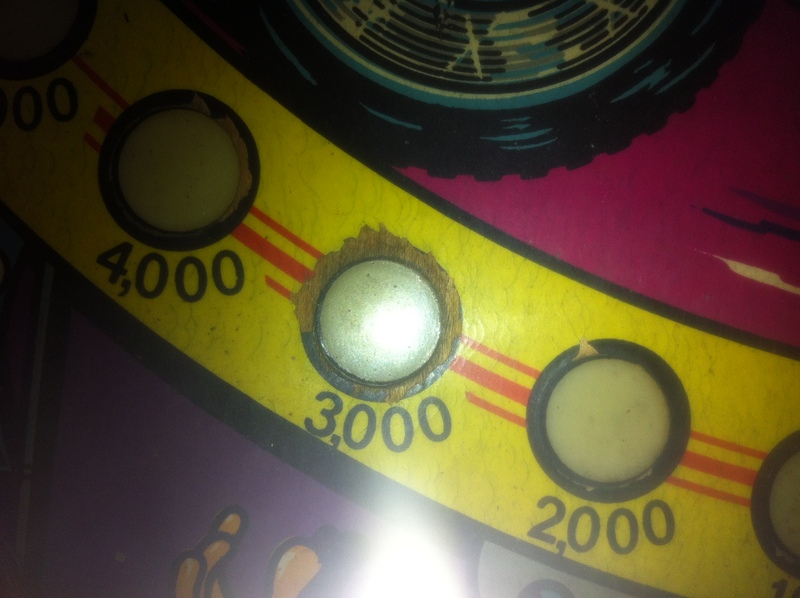 I’ve also had a closer look at the playfield and noticed that the paint damage around the 3,000 insert is due to the insert having dropped down a few milimeters. 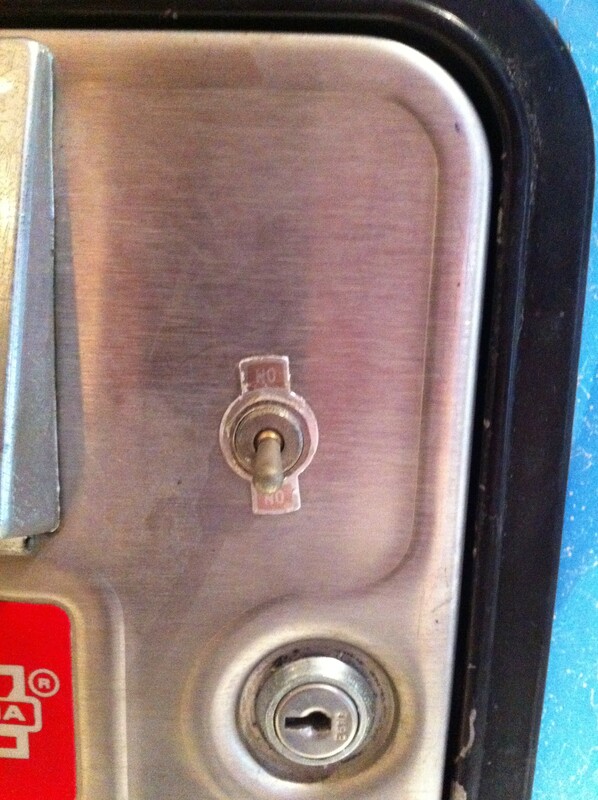 This will have to be fixed. 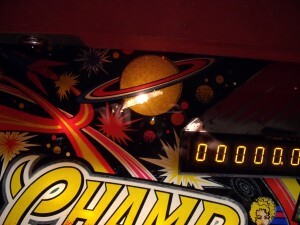 Well, now I’ve done it! I’ve gone and bought another machine. 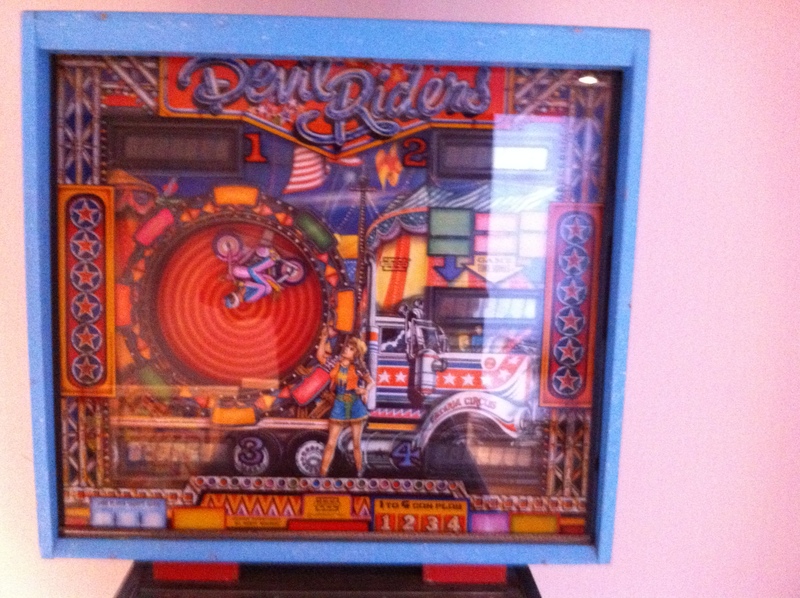 This time it’s a Devil Riders, also from Zaccaria, and also a 2nd generation. 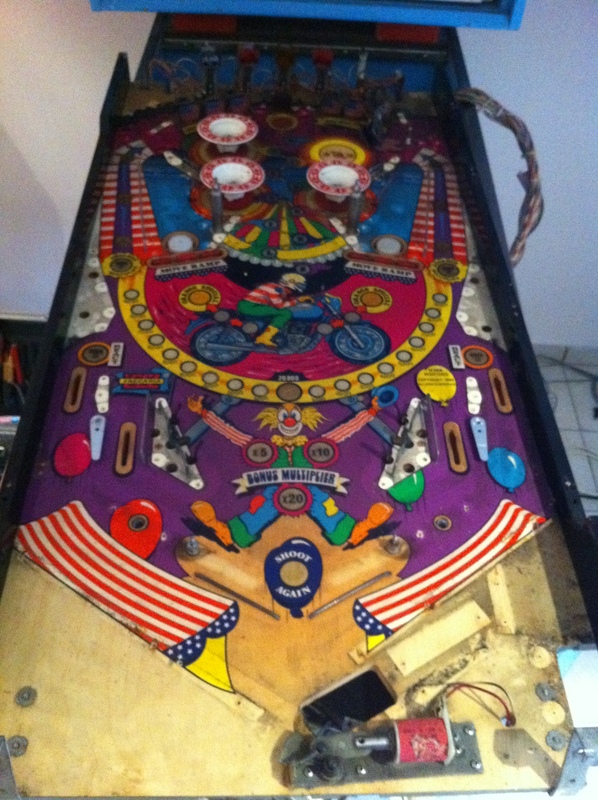 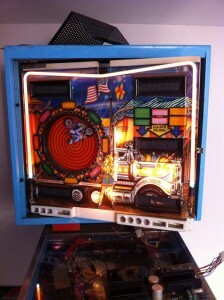 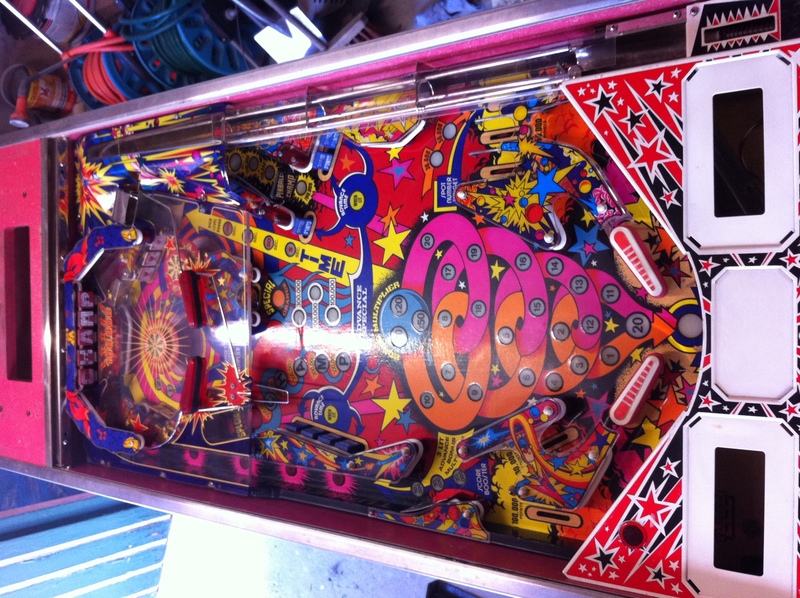 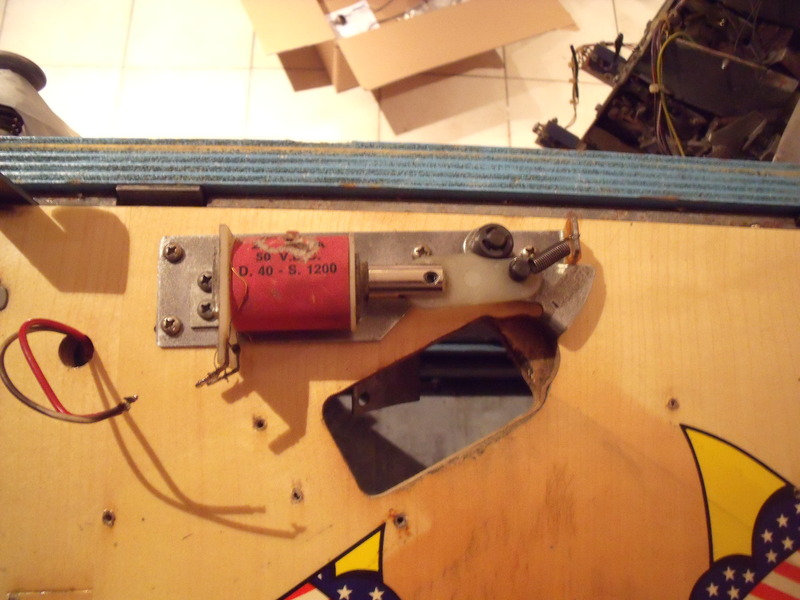 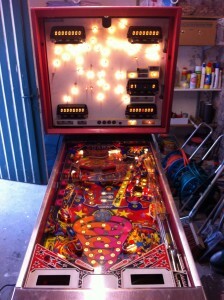 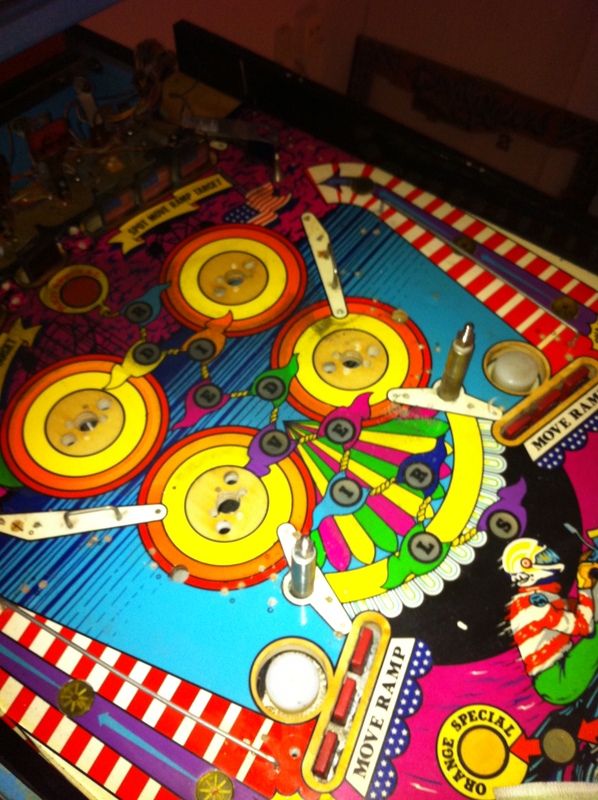 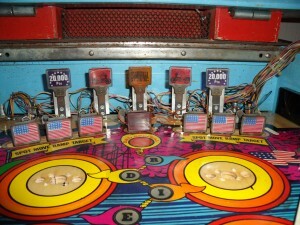 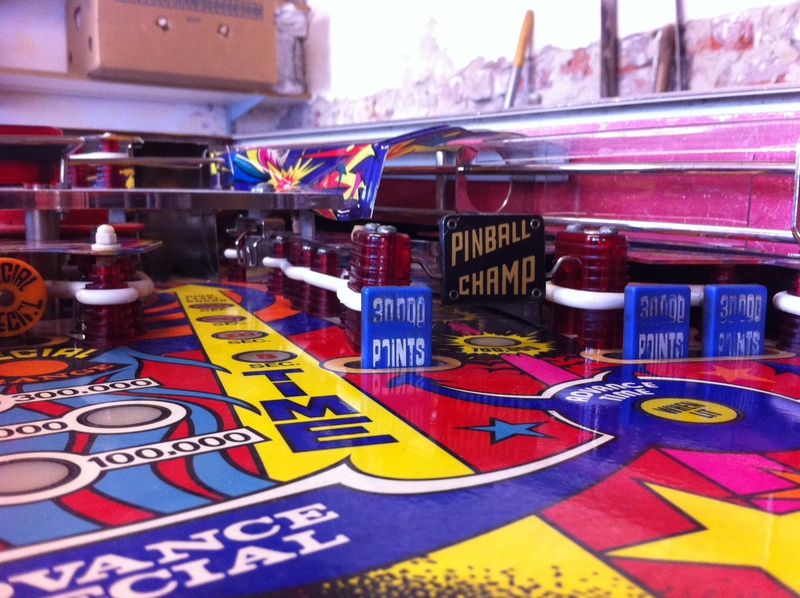 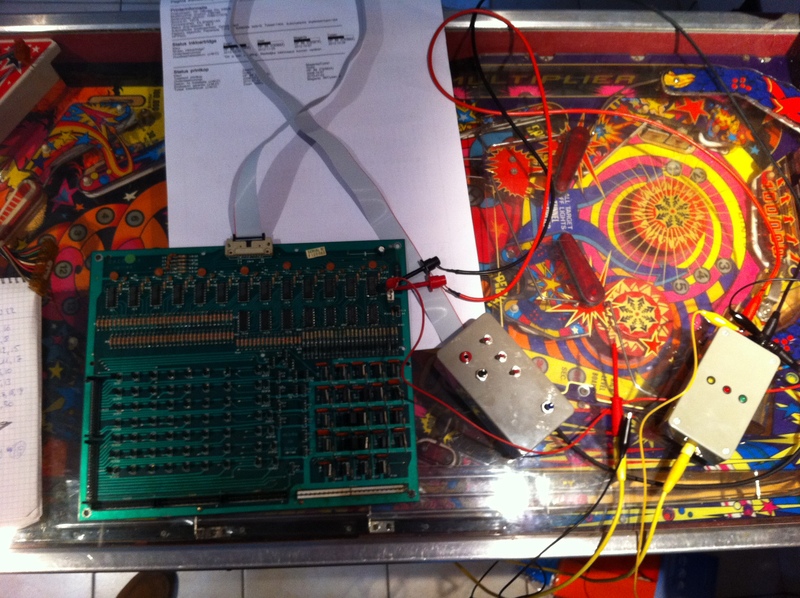 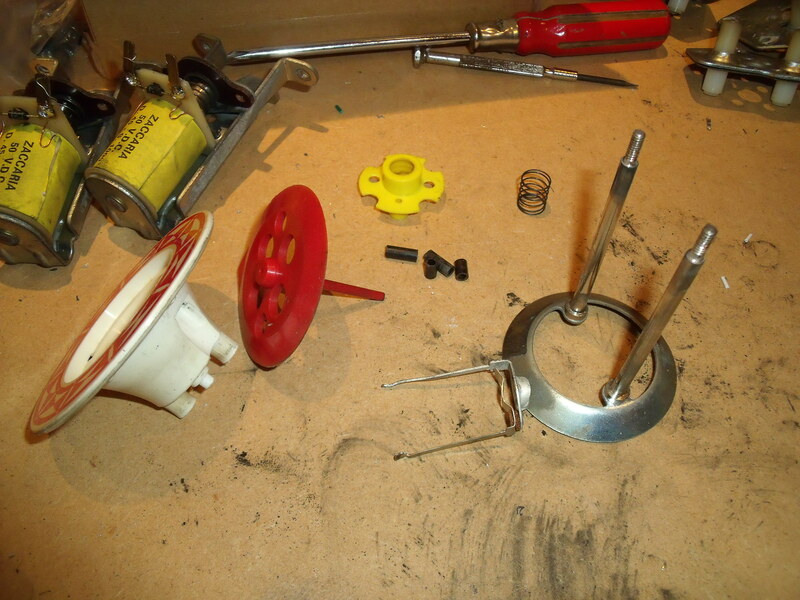 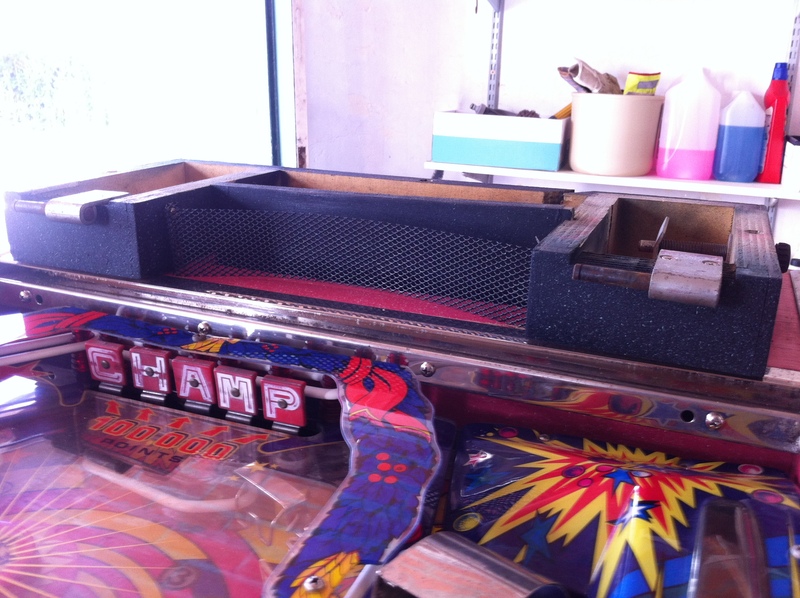 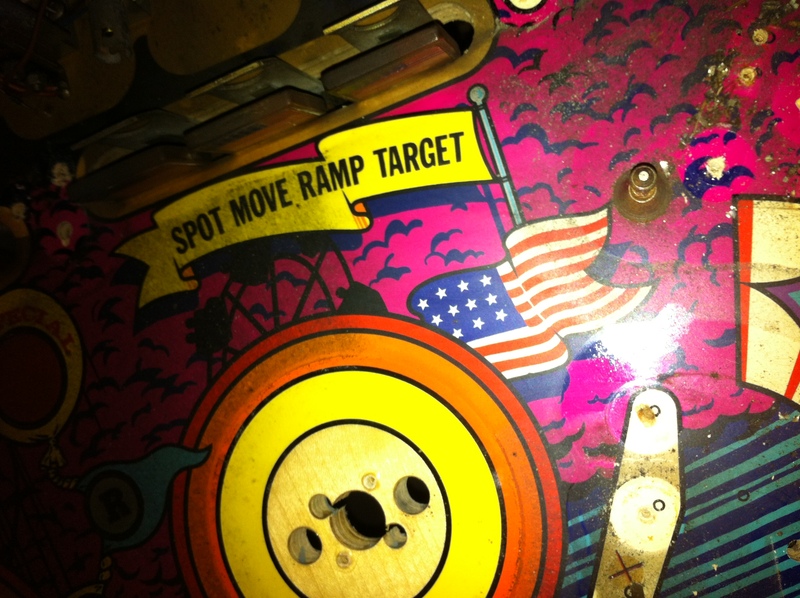 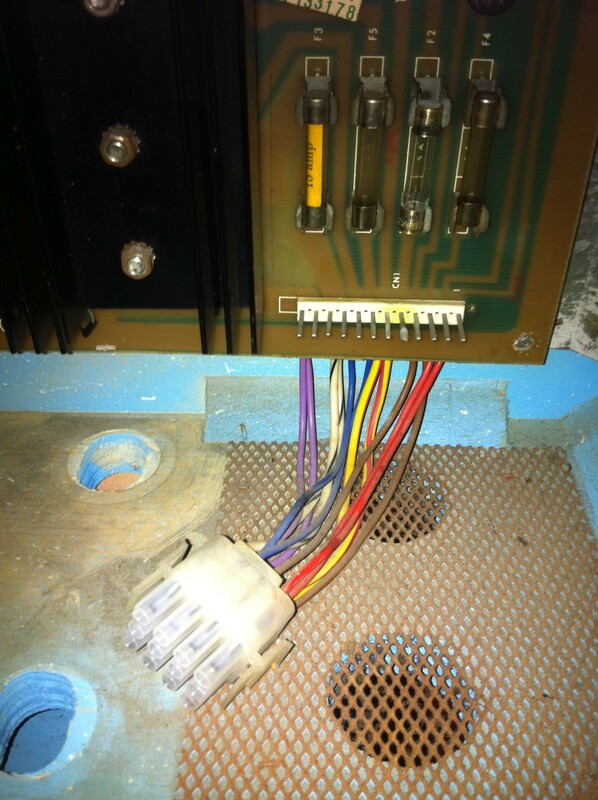 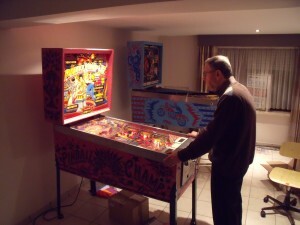 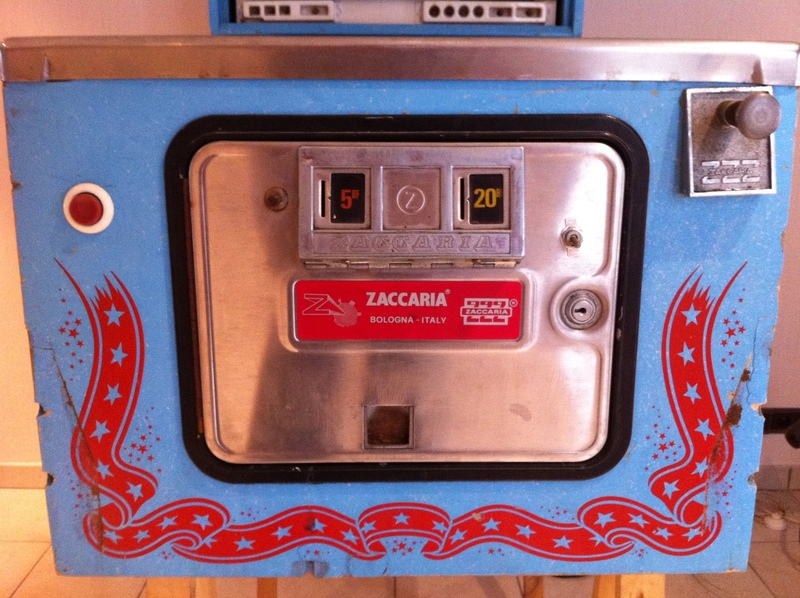 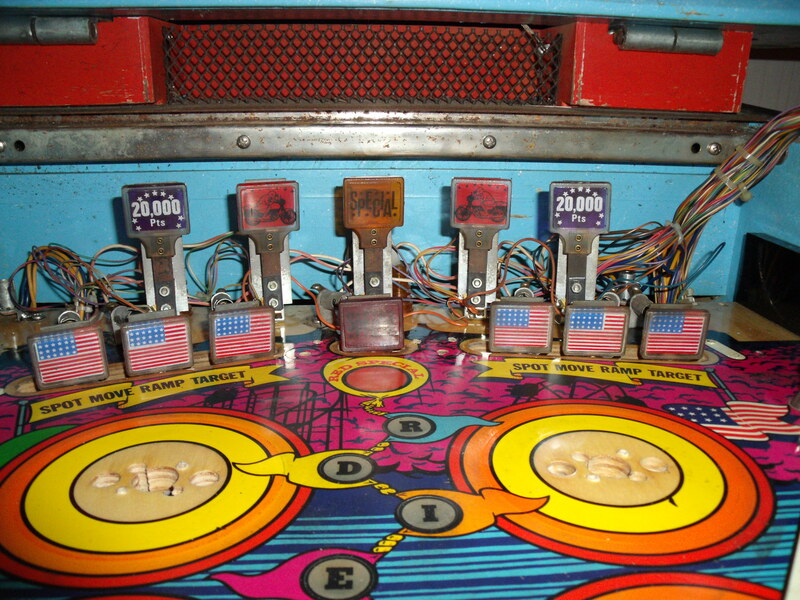 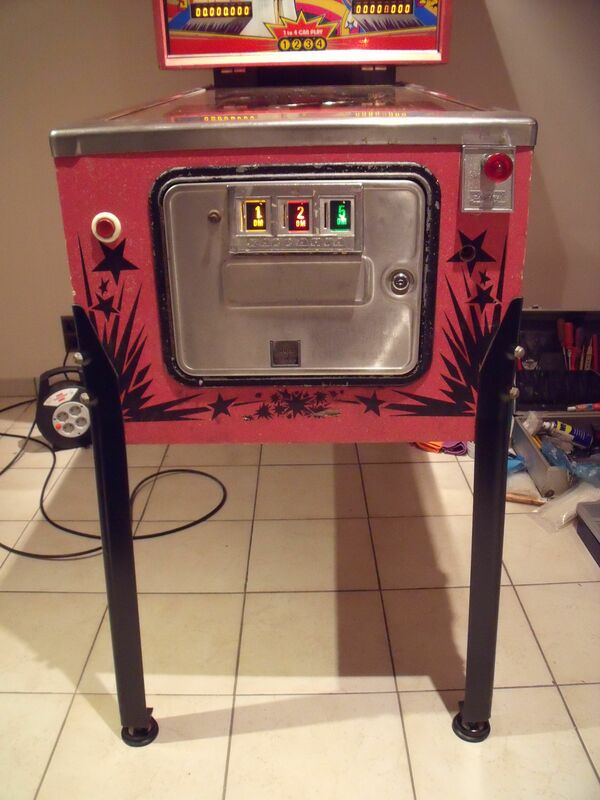 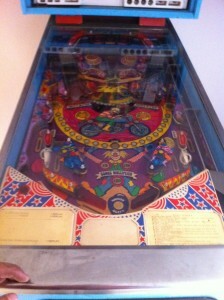 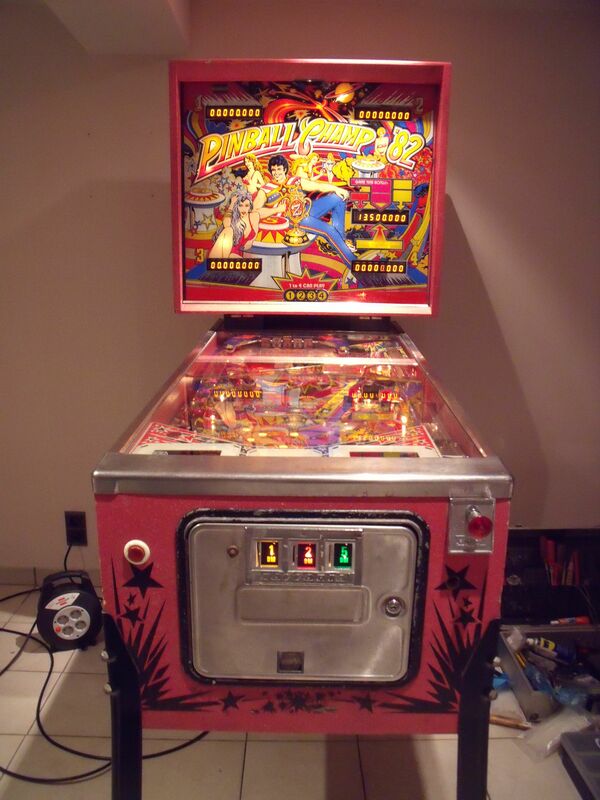 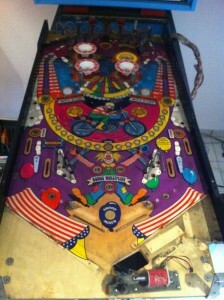 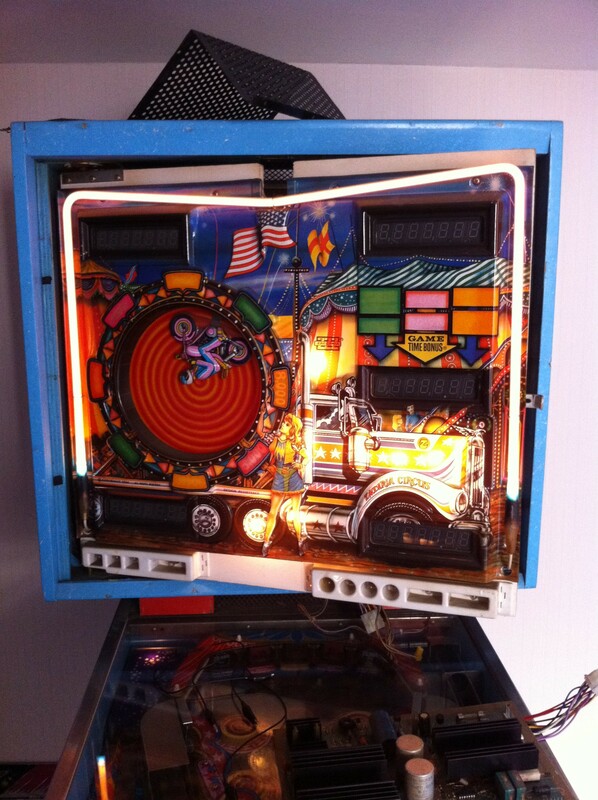 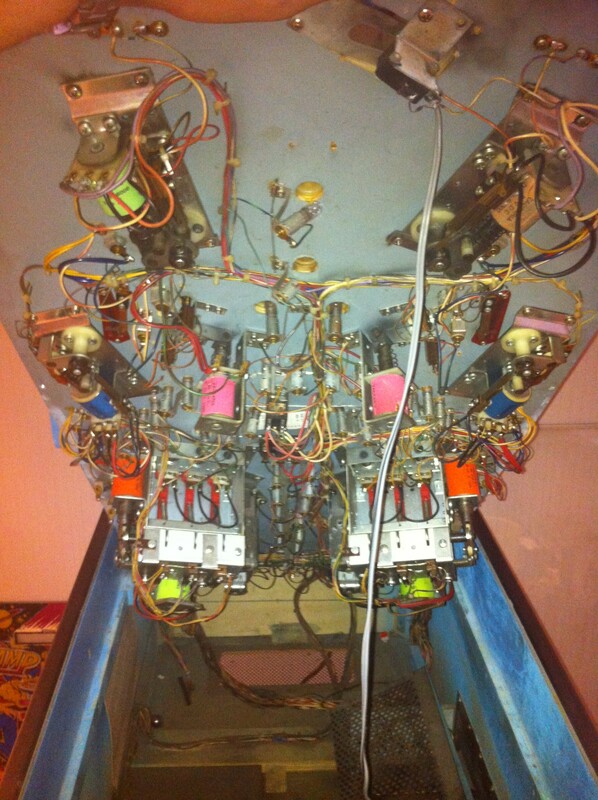 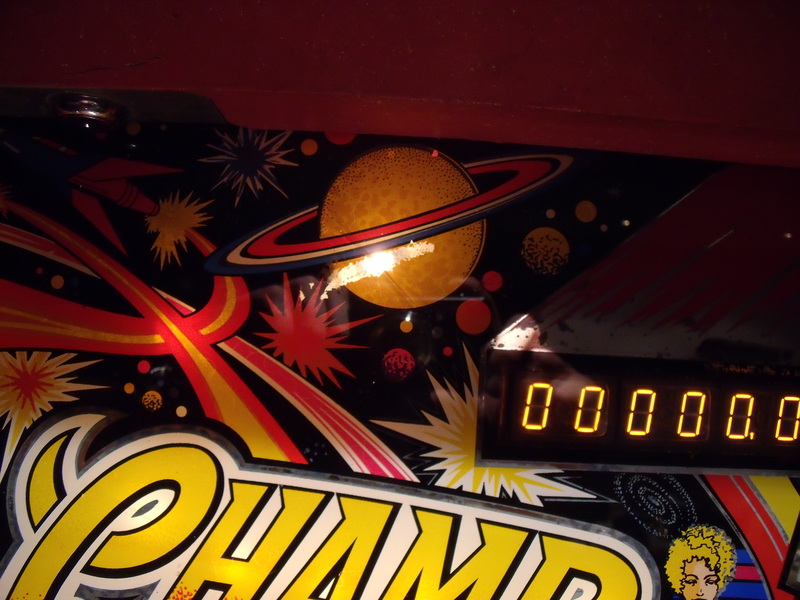 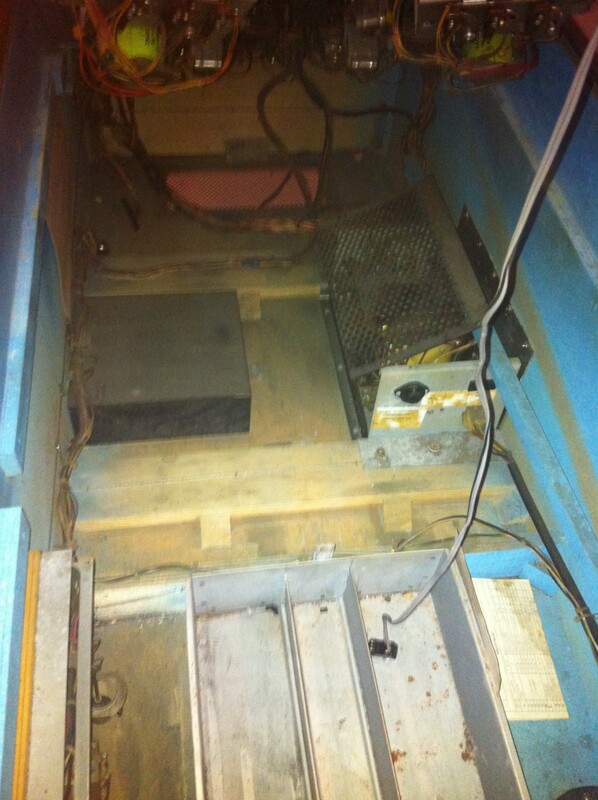 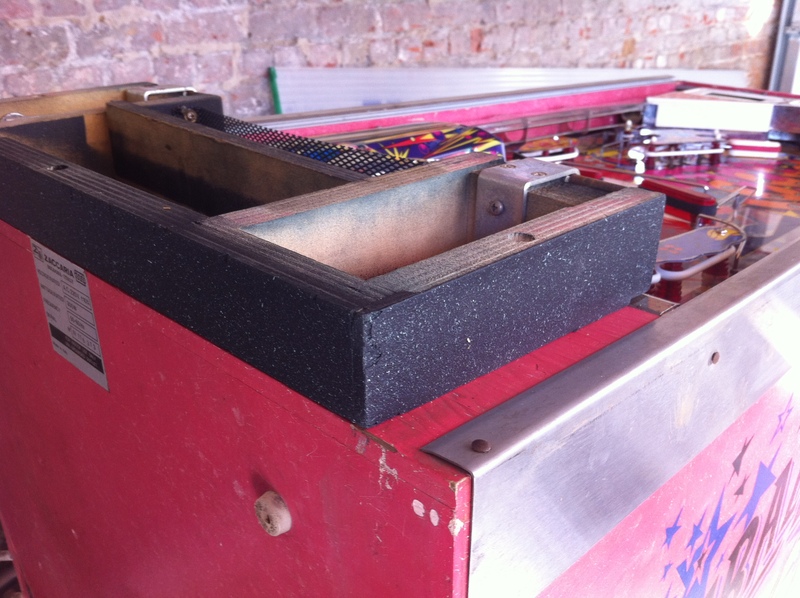 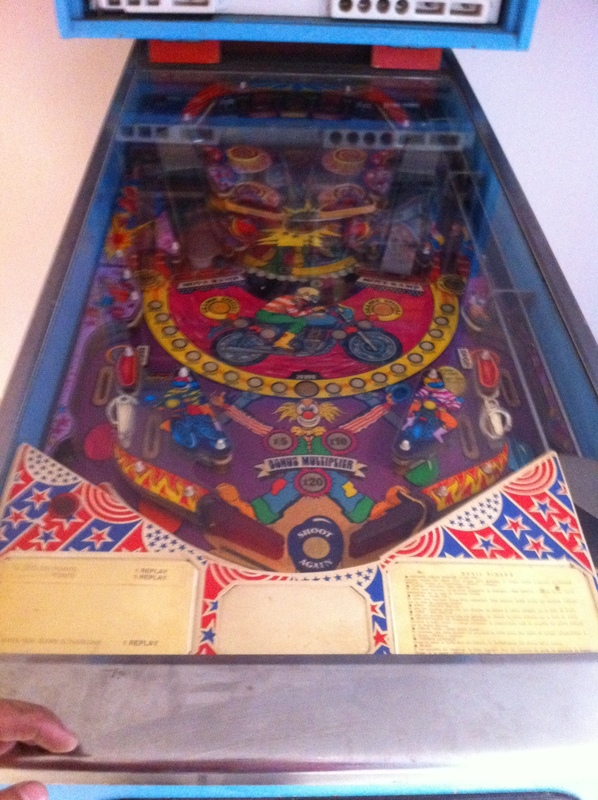 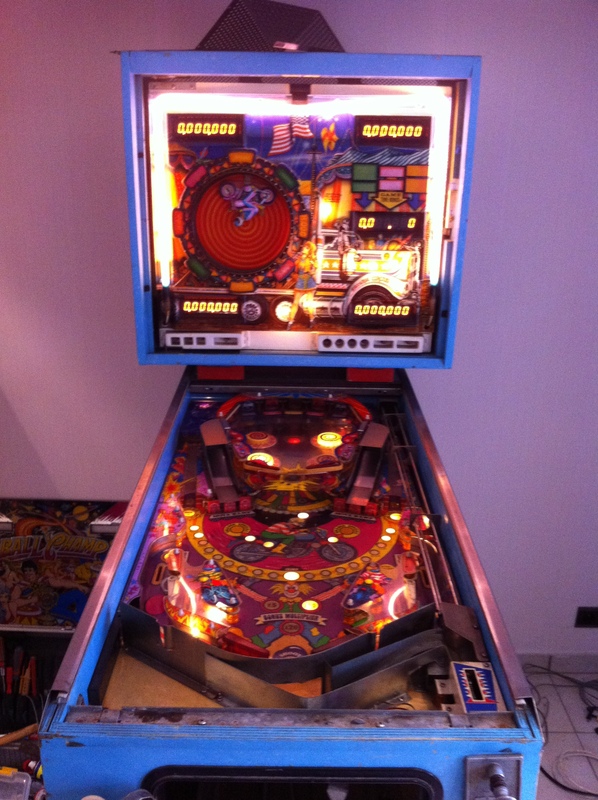 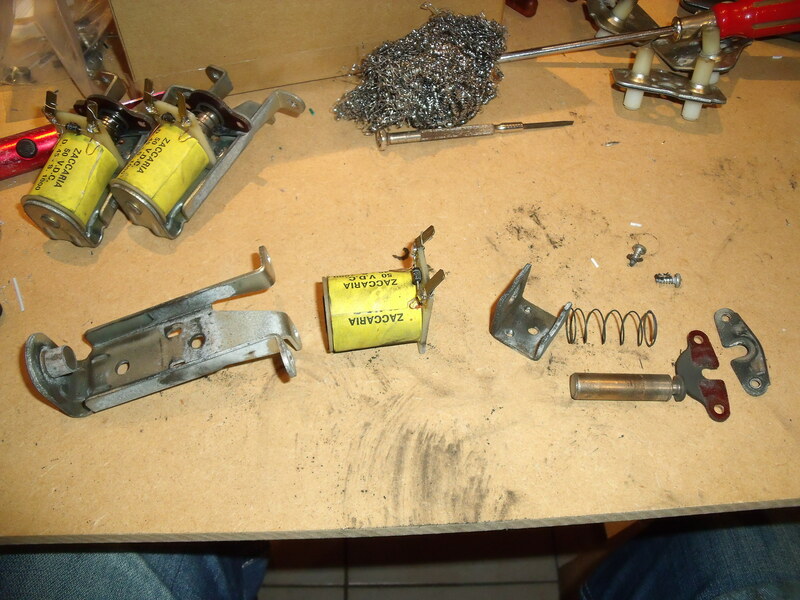 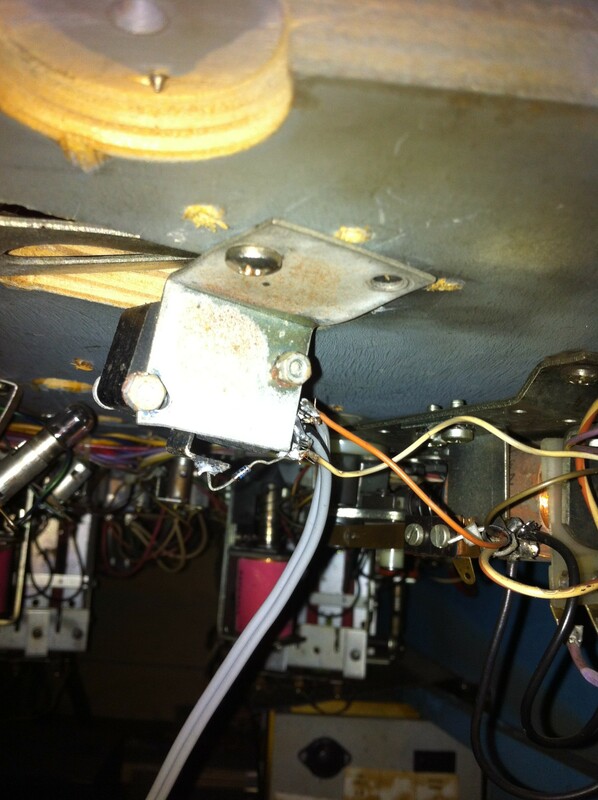 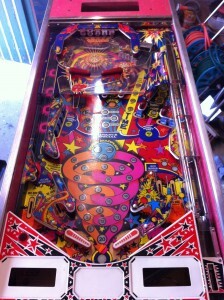 Mechanically it looks in better shape than the Pinball Champ, but the electronics have been “repaired” by an amateur (according to the seller). 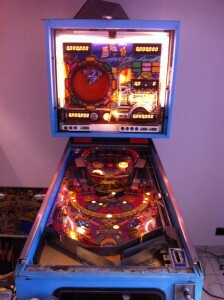 But for 100€ I’m not too bothered about it. The machine looks complete, except for 2 leg bolts. 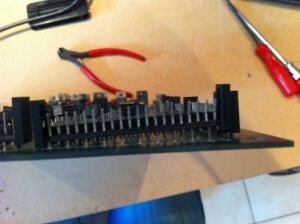 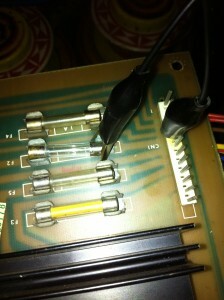 Why replace connectors if you can solder? 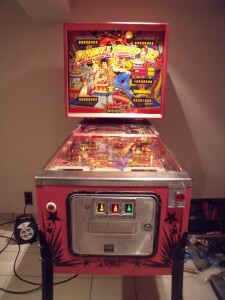 What did you expect after almost 30 years? 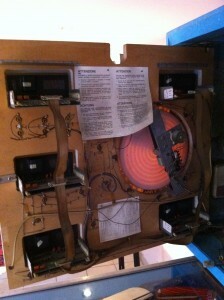 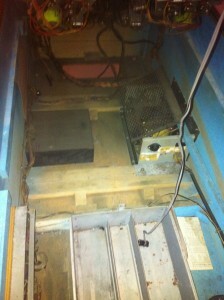 Transformer box is open. 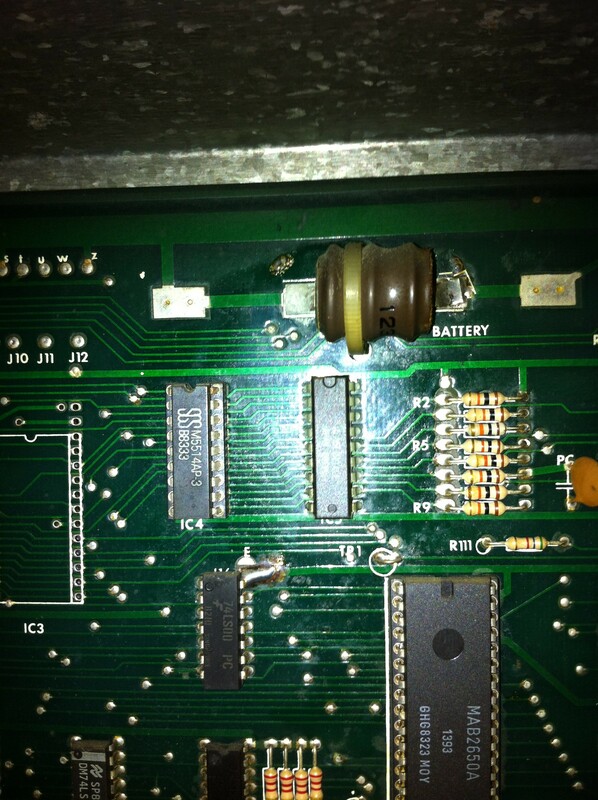 Hope it still works. I’m going to test the CPU board of this machine in the other machine and make it work. 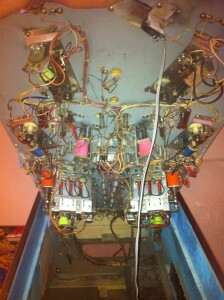 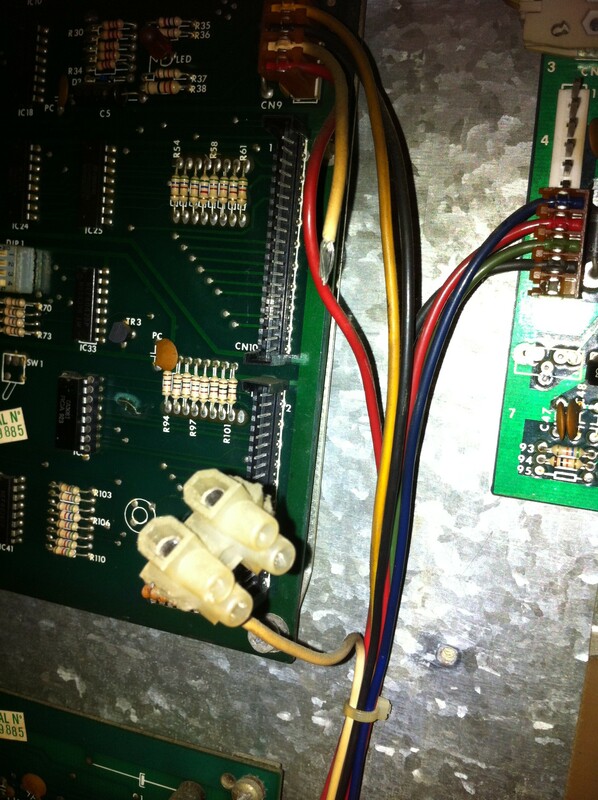 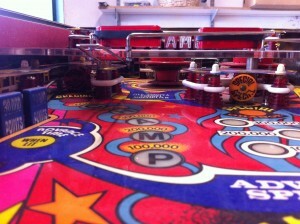 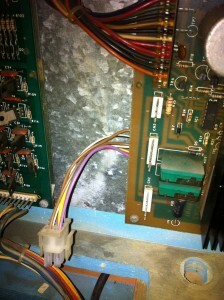 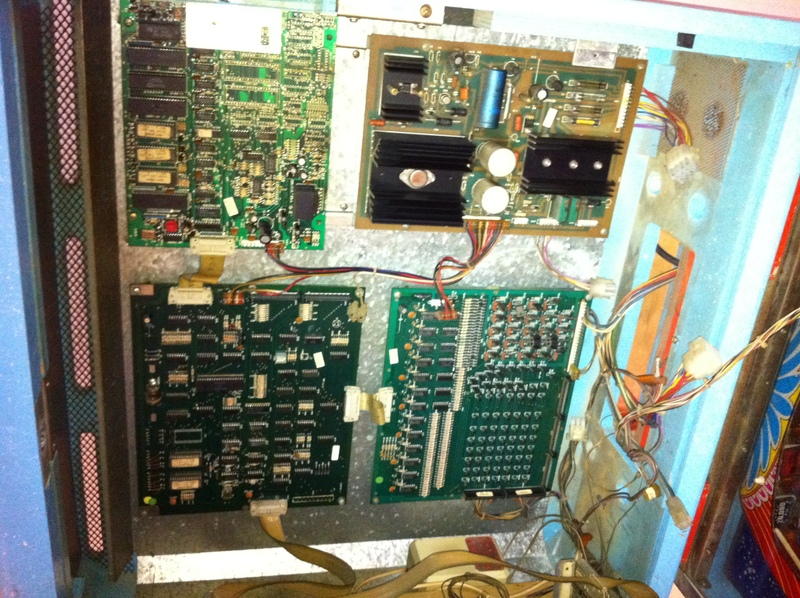 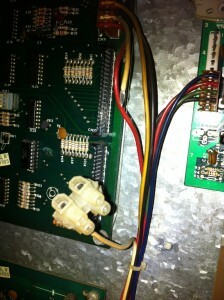 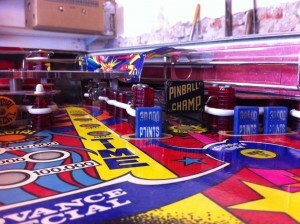 That way I can compare the two boards and see where the problem is with my Pinball Champ CPU board. I’ll also start taking the Devil Riders apart and make a list of things I need to order so I can minimise shipping cost.